I’ve been deep into future studies / futurology over the past few weeks. It’s an intriguing field for me at both a professional/academic level and a personal level. How can we better understand the future? Are there core methodologies that we can employ to optimize our current positioning and decision-making? How can we be better prepared for the future? What’s inevitable and what’s not? Where lies the line between info-driven forecasting and innate intuition? Although the netweb has helped to grow and organize both the futurological information and the community through which that information is developed and shared, it seems as though the field itself remains cloudy. I must hope that at some level I can build upon the existing thoughts of others and contribute new thoughts of my own so that at least the window to the future becomes more clear. One cornerstone of future studies is in how to evaluate, filter though, and create opportunity from statements about the future. And so I wonder: from where does opportunity arise, and how can this recognition be leveraged to inform (and in some cases, influence) the future? In general, how can we characterize the origins of opportunity? Is it through early recognition? This is not beating others to the finish line, but rather beating others to the starting line. Can we identify gaps sooner than others? Is it through resourceful timing? Often opportunity arises in not being first, not being last, but somewhere in between. The earliest adopter may have his/her vision obscured through too many details, the latest adopter may be left with the crumbs. And often we find much opportunity in the failure of others – developing the right trials from the errors of others. Is it through pure knowledge and intelligence? Can brute force brainpower create the most opportunity? Or is it more dependent on the ability to apply one’s knowledge, no matter how limited it may be? Is it about having the right skill sets and tools, tactics and strategies? Is it though pure luck? Can being in the right place at the right time govern our ability to find and harness opportunity? Is pure luck within our beyond our control? 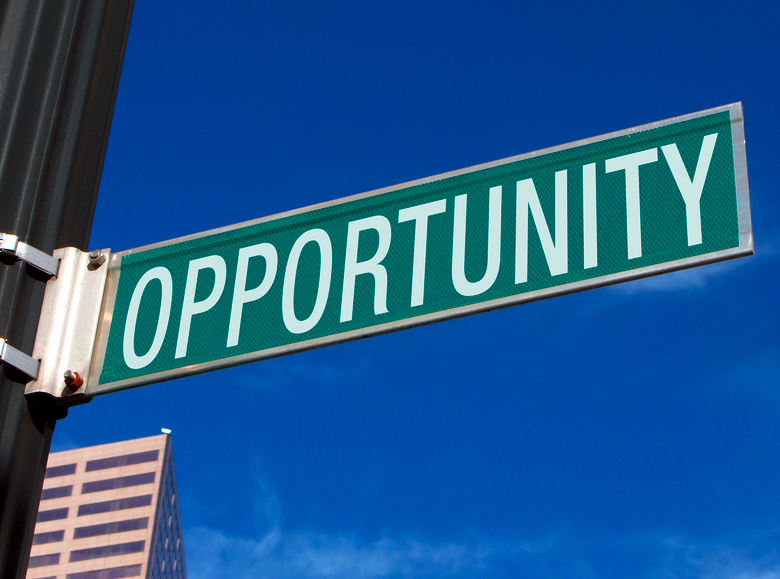 It’s simplest to think that opportunity may arise as a result of any combination of these factors. Therefore, to maximize our opportunities, we should focus on being in the right places, having the right tools, being with the right people, understanding timing as an approach, building the right knowledge base, and building an overall recognition for the many faces of opportunity. If we can learn to recognize opportunity and better understand where it may arise, we can begin to gain a better picture of the future. Then, we can work to inform that picture with data and models to ensure that we take full advantage of those opportunities to better our self, our communities, our world, and that of tomorrow.